I have tried a multitude of over the counter and salon/spa beauty creams over the years. Out of all of them, there is only one beauty cream that has been able to bring a youthful glow back to my skin. 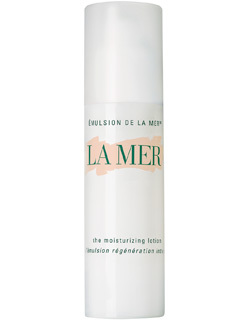 This miracle cream is the one and only Creme de La Mer. Creme de La Mer contains a miracle broth that really works. I have read a lot of reviews on this cream. There's a lot of scepticism going on around the traps, so I thought I'd try it for myself. I picked up a sample from the La Mer counter at David Jones, Chadstone. The sample I was given was the heavier textured creme in a small sized pot. This creme lasted 2-3 months. Now that's value for money! 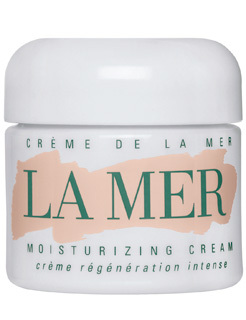 Creme de La Mer is a high-end cosmetic product, sold exclusively at David Jones and online on the La Mer website. Whilst it is a very expensive product, it works and lasts months. I was lucky enough to receive a jar as a gift from my generous husband for our anniversary this year. I have been using the creme at night for a total of 2 months and I am amazed at the transformation. My skin is glowing with youth! There is a special technique you need to use to apply the cream. You need to take a pearl sized amount and rub it between your hands. This releases the miracle broth. You can really feel the broth sinking deeply into your skin on application. I'm saving up for the lighter version of the cream for daytime use because it is that good. As a qualified beauty therapist, I have studied the skin and ingredients that work. I would not hesistate in recommending this product to anyone concerned with the effects of ageing. It is definitely worth the investment. What's a beauty cream you cannot live without that has changed your life? I'd love to hear about it!